When is debarment, not debarment. EU Self Cleaning rules are a welcome dose of reality. Earlier this year, on 26th February, new EU Procurement Directives took effect in the UK, changing the previous rules on debarment in circumstances where a company (or one of its Directors) has been convicted of economic crime, including bribery, fraud and money laundering. The new Public Contracts Regulations 2015 (‘the 2015 Regulations’) transpose the new Public Contracts Directive into English law. The 2015 Regulations have tempered the mandatory permanent exclusion from public tendering in a number of ways. The updated provisions will now apply to all new tenders starting on or after 26 February 2015. The 2015 Regulations extends the number of criminal offences following conviction of which mandatory grounds for debarment applies, for example extending the number of dishonesty offences applicable, the inclusion of Companies Act and Fraud Act offences, and terrorism and people trafficking offences. Discretionary debarment continues to apply in respect of professional misconduct and non-payment of tax but is also now further extended and can apply to distortion of competition, and matters of insolvency. There is now however a reduction to the severity of the punishment that debarment brings. A business can no longer be permanently debarred. 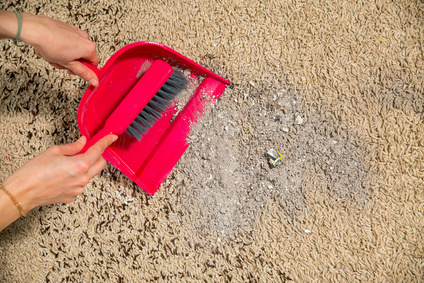 Instead it will face a term of debarment which can be no longer than the maximum statutory term of exclusion and public authorities are obliged to bring debarment to an end where a company satisfactorily demonstrates “self-cleaning”. Discretionary debarment cases: 3 years from the date of the relevant cause/event. (iii) The introduction of concrete technical, organisational and personnel measures which are appropriate to prevent further criminal offences or misconduct. Where the above criteria can be met and evidenced, the exclusion from tendering for public contracts following a conviction will no longer apply. In determining whether the evidence of measures taken is sufficient, the gravity and particular circumstances of the criminal offence or misconduct will be considered. Accordingly, the more serious the offence, the greater the need to ensure steps taken are comprehensive. Where the measures are implemented but are considered by the relevant public authority to be insufficient, the company will be provided with a written statement detailing the reasons for that decision. A conviction in respect of section 1 (active bribery), section 2 (passive bribery) or section 6 (bribery of foreign public officials) gives rise to a mandatory exclusion from participation in public tenders. The offence of ‘failure of commercial organisations to prevent bribery’ (section 7) will not trigger mandatory exclusion under the 2015 Regulations, but may give rise to grounds in support of a discretionary exclusion. In March 2011, the Director of Public Prosecutions (‘DPP’) and the Director of the Serious Fraud Office (‘SFO’) issued joint guidance for prosecutors on the Bribery Act 2010. The guidance confirmed that the view of both prosecuting bodies that there is an inherent public interest in bribery being prosecuted in order to give practical effect to Parliament’s criminalisation of such behaviour, the Full Code Test as set out in the Code for Crown Prosecutors applying. In respect of prosecutions pursuant to section 7 of the Bribery Act 2010, the additional factors in the Guidance on Corporate Prosecutions will also be particularly relevant in determining whether or not it is in the public interest to prosecute. The latter guidance advises that considerations should also include “not just the value of any gain or loss, but also the risk of harm to the public, to unidentified victims, shareholders, employees and creditors and to the stability and integrity of financial markets and international trade“. Additional public interest factors against prosecution include “that a conviction is likely to have adverse consequences for the company under European Law, always bearing in mind the seriousness of the offence and any other relevant public interest factors”. This is a specific reference to the debarment principles deriving from EU law and implemented in the UK by the previous Public Contracts Regulations 2006. In theory, a company convicted of a bribery offence and thereafter subject to an exclusion period, whether mandatory or discretionary, could “self-clean” to the effect that the period of debarment is in reality limited and low impact; a company focused and committed to cleaning up its act could be back in business within a matter of months. Arguably, the adverse consequences detailed above may no longer be borne in mind by a prosecutor when making a final decision as to whether to mount a prosecution; ultimately a period of debarment will no longer be considered in the same way and will not act as a short road to potential ruin. The UK National Anti-Corruption Plan prepared by the Government late last year notes that it will consider whether further steps will be useful to ensure that information is readily available to procurers if and where suppliers have been convicted of offences attracting exclusion from public contract. In reality however, unless the 2015 Regulations are applied consistently, the impact of the changes is likely to be low. The prior position was potentially a death sentence to a corporate. The change to the rules which look to the future and the implementation of a decent compliance program are a welcome dose of reality. It was never right that a corporate with a poor compliance program should be brought to its knees, and thousands of innocent people should lose their jobs, as a result of the conduct of a few people.